The Wilson Center is pleased to announce the winners of our 2017-2018 SCOPE Grants. The mission of the Wilson Center’s SCOPE (Student Community Outreach Program Experience) Grants is to provide opportunities for students at the University of Maine to explore their values, to act on their concerns, and to build human connections through programs that are designed and led by students. This year the SCOPE Committee chose two projects to fund, both of which address food insecurity in the local community. The first project, submitted by University of Maine senior Rachel Alexandrou, will work with the UMaine greenhouse to provide unique fruit and vegetable cultivars and growing support to low-income families.This project works to address the problem of the increasing food insecurity in Maine, while also attempting to help children and their parents reconnect with each other, their food, and the natural world through the joy of gardening. The second project, submitted by UMaine graduate student Danielle Daigle, will benefit the Black Bear Exchange, the food pantry and clothing swap available to UMaine students, faculty, staff and their families. SCOPE funds will be used to purchase the materials necessary to allow the Black Bear Exchange to begin blanching vegetables, which is a process in the freezing of vegetables that extends the “shelf-life” of these perishable yet important food items. The Wilson Center is proud to fund these innovative projects. 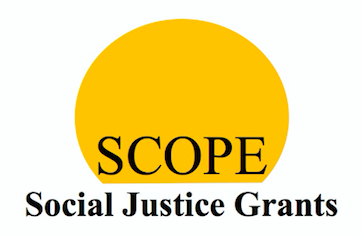 The SCOPE grants are given in honor of Rev. Elizabeth Morris, chaplain of the Wilson Center from 1990-1993. For more information about SCOPE, including past winners, click here.